The talented senior trio of Chris Light (game-high 21 points), Alex Patrikis (18 points, 9 rebounds, 3 blocks) and Kevin Colbert (12 points with 10 coming in the 2nd half) was just too much for Nashua South to handle, especially since South was playing without its best player Anthony Muccioli (out sick). 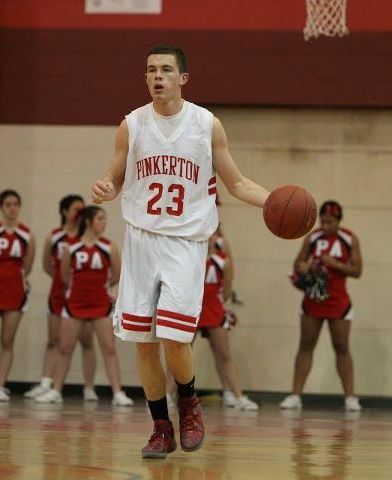 The result was a win for Pinkerton in Division I boys basketball. The Astros led 58-49 with only 1 minute left, but South ended the game on a 7-0 run. It was too little too late though, as Pinkerton held on for the 58-56 win to improve to 5-1 on the season. "Having everybody healthy now is big" said Light, referring to Patrikis who has been bothered by a foot injury and Colbert has missed time with an ankle injury. "If they pressure me I can dump it in to Alex, and if he kicks it back out me and Kevin can attack from the wings." South led 29-28 at halftime, but Pinkerton made a run towards the end of the 3rd quarter, taking a 48-38 lead into the 4th quarter. After a three-pointer by South forward David Dunham cut the Pinkerton lead to 41-38, the Astros then went on a 7-0 run to end the 3rd quarter. Senior guard Sean Smith answered Dunham's three-pointer with one of his own just a few seconds later. Then Light and Patrikis scored a couple quick baskets, giving Pinkerton a lot of momentum going into the game's final frame. "That run turned out to be the difference, it turned out to be insurmountable" said Naashua South head coach Nate Mazzerole. "The fundamentals were lost on us during that 2 minute stretch. Those mistakes can't happen." One thing that stopped working in the 3rd quarter for South that was working in th 1st half was sophomore guard Tim Preston creating offense and making plays off the dribble for himself and his teammates. Preston was especially impressive in the 2nd quarter. Pinkerton extended their defense out to half court and threw 2 defenders at him, but he was able to handle the pressure, get to the basket and make a couple of nice floaters in the lane. Then he got into the paint and when the defense collapsed he dished it off to the older brother Jack Preston for a layup. It was at this time that the game was really being played at a high level, because not only were the Preston brothers (who each had 11 points on the night) making big plays for South, but Light and Patrikis were matching them shot for shot on the other end for Pinkerton. The game had a really nice flow to it for the last few minutes of the 2nd quarter and as the teams traded big shots they also traded the lead - there was 6 lead changes in the 2nd quarter alone. Kevin Morrissey hit back-to-back jumpers to start the 2nd frame to tie it up at 14-14. Patrikis then made a nice move along the baseline to get to the rim and finish a reverse layup. After a nice pass by Jared Maloney in the high post to Jack Preston inside for 2 the Astros lead was cut to 23-22 with 2:05 left in the 1st half. Then after a floater by Tim Preston South went up 24-23. Light answered right back with a strong drive to the rim and reverse layup to put Pinkerton back on top 25-24. Then Tim Preston came back down and made another floater to put South back on top 26-25. Answering right back for Pinkerton was Smith, hitting a a long two-pointer (apparently he had a foot on the line) which put Pinkerton back up 28-27. That's when Tim Preston drove to the basket, dished it to his brother Jack for a layup with 1 second left in the half, and South went into the locker room up 29-28. What a great 3 minutes of basketball it was to end the half! Even when Muccioli has been in the lineup this season, South has had problems scoring at times. And he gets them 16-18 points a game, so for the Purple Panthers to score 29 points in a half and 56 points for the game without their star senior definitely bodes well for them. But again, the 3rd quarter was the difference, as Pinkerton outscored South 20-9 in the 3rd period. Light, Patrikis and Smith all had big shots on offense, and they were able to slow down the Preston brothers on defense. "We made some adjustments" said Pinkerton head coach Pete Rosinski. "We played tough defense and we executed well on offense." One key defensive play in the 3rd quarter came when Smith was providing some great pressure on Tim Preston in the back court, causing a 10 second violation. Then South had a couple more turnovers late in the quarter which led to 2 quick baskets by the Astros. 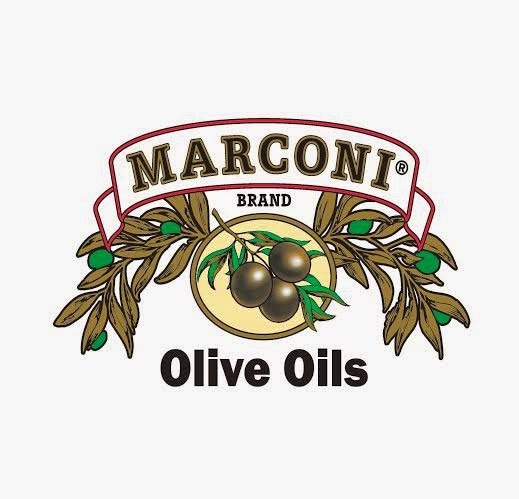 "They srtarted pressing and doubling him back there" said Coach Mazzerole, talking about his sophomore guard Preston, who along with fellow sophomore guard Yordy Tavarez had to shoulder the ball handling duties with Muccioli out. "And against that defense we started over-dribbling and neglecting to send someone to the foul line." In the 4th quarter South was doing everything they could to try and get back in the game, as the Dunham brothers Michael and David played well on both ends of the floor. Then after a miss on a three-pointer by Tavarez, Tim Preston got the team energized when he came out of nowhere to jump up and in mid-air tip the ball back into the basket - while drawing a foul at the same time! That cut the Pinkerton lead to 52-45 with 3:00 left in the game. Light responded by getting the ball on the block, turning from about 15 feet away and knocking down a big turnaround jumper over Armond McRae defending while also drawing a foul. "When I have a smaller player on me I just turn and shoot it over the top of them" said Light, who scored 21 points but didn't force a shot all night. That's when Colbert really came alive, delivering 2 BIG baskets late to put the game out of reach. First him and Patrikis had a nicely executed give-and-go, ending with Colbert catching the return pass in the lane and then making an athletic finish inside, converting a tough scoop shot over the outstretched hands of a defender. Then on the next time down the floor he went right at a bigger defender for South, took the ball to the rim and made a great and-1 finish at the rim by making a double-pump layup through the contact. That made it 58-49 Pinkerton with 1 minute left in the 4th quarter. "I brought Colbert in at the end of our last game vs. Londonderry and he hit 2 big shots then" Coach Rosinski said before tonight's game vs. South. Well, he came up big in the clutch again this evening. But just when it seemed like the game was over after Pinkerton took a 9 point lead with a minute left South made a furious run late in the game to try and make a comeback. Morrissey (10 points on the game) made a shot inside, then South got a steal. Tavarez (9 points) pulled-up at the top of the key and drained a three. Then Michael Dunham picked up a loose ball and laid it in, cutting the Astros lead to 58-56 with just 3 seconds left. South would then need a steal or a quick foul so they could try and get the ball back. But instead Colbert caught the inbounds pass and by the time a South defender could get to him it was too late. The buzzer sounded and Pinkerton was able to hold on for the 58-56 win. "We have the potential to be a contender" said Coach Rosinski. "But we need to focus better, take care of the basketball and have mental toughness. Our 2010 state championship team had it, I'm hoping to get this team to that point too."